Welcome to the Hacienda de Salida! 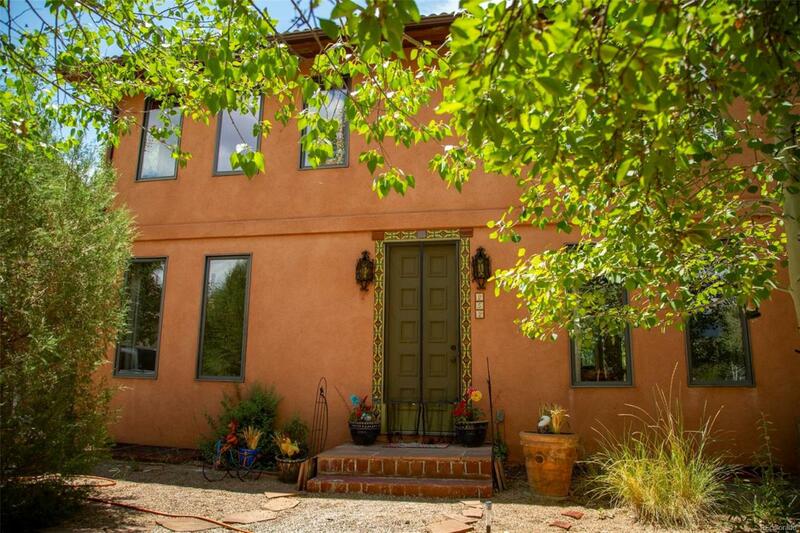 This large beautiful home is in a quiet neighborhood only a mile from downtown Salida. With a Spanish style and artistic touches, this spacious property offers an abundance of everything including magnificent mountain views! You will find high ceilings, wood beams, energy efficiencies, multiple veranda's and plenty of windows bringing in much natural light. There are two buildings separated by the over-sized garage. The 1,084 sq. ft. addition is currently being used as a second family room area and an artist studio. An outdoor enclosed patio off of the kitchen which is used often for dining. And beyond that, in the fully landscaped and fenced backyard, you will find The Mesa Court Cantina. Complete with pergola, you can imagine this festive dining space will see more parties ahead as this property is well suited for entertaining family and friends! It is truly a unique property with a good vibe! Call for an appointment to see for yourself.